Powerfull. Easy to use. Cost effective. 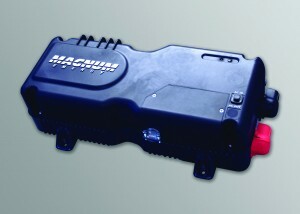 The MM Series Inverter is designed to accommodate entertainment systems and small appliances in smaller RV’s and boats. 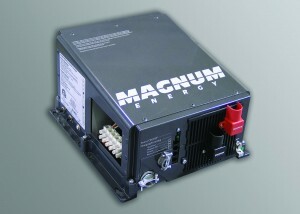 Available in 600 and 1200 watt models – the MM series in an all new design – is the most cost effective inverter available from Magnum Energy. 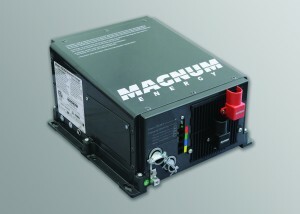 The ME Series Inverter / Charger from Magnum Energy is a modified sine wave inverter designed specifically for rugged mobile applications. 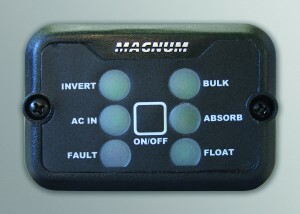 Designed for Renewable Energy applications. The RD Series uses the same construction as the ME Series without a neutral bonding relay. Available in 1800, 2200, 2800, and 3900 watt models. The Xantrex HF Inverter line is a cost effective inverter / charger system for the boating, small off grid home & RV markets. Designed for varied applications from 1000 to 1800 watts, they produce silent, reliable 120VAC power directly from your batteries. 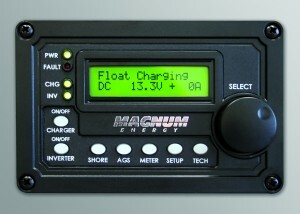 A built-in 3-step SMART charger with automatic transfer switch, recharges your batteries when you are connected to shore or generator power. The HF Inverters come in a 1000 & 1800 watt model and both include a detachable remote control & display for full system control and monitoring.